Euros off to a flying start, with today's matches seeing a predictable Wales victory and a predictable England not-victory. USA plays later tonight to get out of the Copa America group stages. We really should have won that match, played really well all game, then that fluke Russian goal came out of nowhere. Just the usual poo poo which happens in every England game! Kinda wanted Wales to lose because Gareth Bale slagged England off a lot just before the games. poo poo again! That Russian goal came from Hodgson making a negative substitution and England slacking off. They're threatening to disqualify England from the tournament because of this - not sure if empty threat or not. Not just English fans though - in the stadium just after the match, a lot of Russians charged England supporters, lighting up flares they smuggled in to the stadium, one report says a few Russians even had face masks and "fighting gloves". Also reports of French people goading England supporters into fights. Seems like everyone has it in for us. Russian state-sponsored media is putting all the blame for the stadium fight on us, of course. Russian fans have been in fights and chanting racist poo poo literally every Euro 2016 qualifier game, their FA has been fined numerous times, and they're bringing in flares, flare guns and bloody weaponry into games, so there you go. But yeah, some England "fans" have acted like complete pricks outside the stadium. Apparently some Nice ultras fought with Polish and N Ireland fans too. USA won!!! As it stands, they'll be playing Ecuador next. If there's one thing to be said about football, it's never boring! Really embarrassing for Brazil, it was obviously a B team but a really bad one at that. Dunga seems like a really terrible manager. 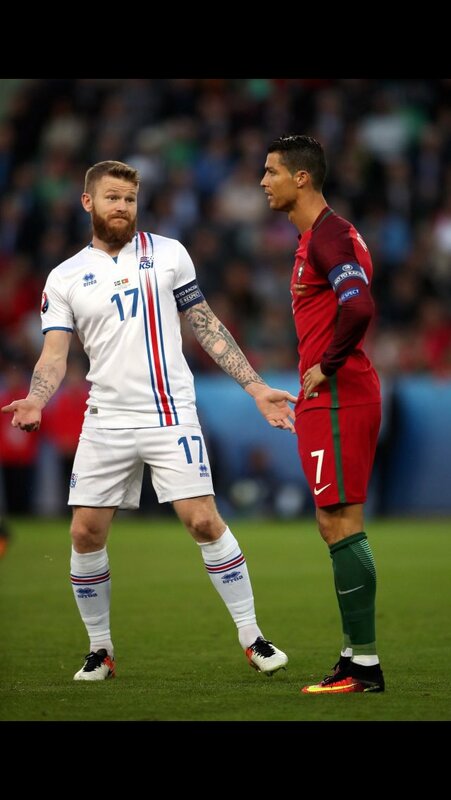 And when asked by MirrorFootball if he saw any romance at all in the Iceland story, Ronaldo was unequivocal. "I thought they'd won the Euros the way they celebrated at the end, it was unbelievable. "When they don't try to play and just defend, defend, defend this in my opinion shows a small mentality and are not going to do anything in the competition." He was also terrible in the CL final this year.